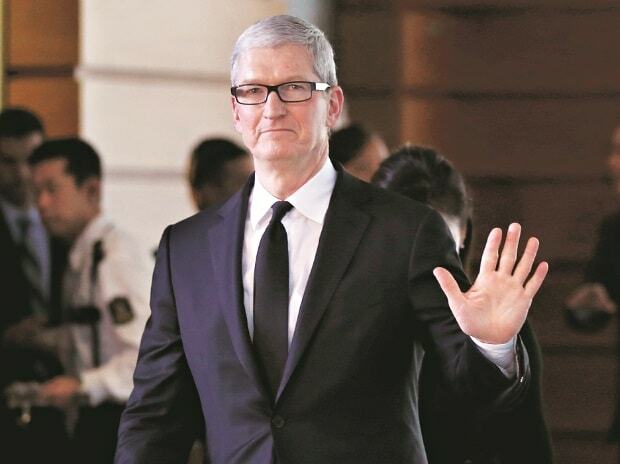 Cook has dealt with a series of controversies during his more than seven years in the role, ranging from the company’s failed Google Maps replacement launch and the need to oust the head of iPhone software in 2012, to concerns over labor and tax practices. He has calmly navigated the politics of President Donald Trump’s administration, and so far has avoided tariffs on the company’s key devices as the US-China trade war widens. Apple needs to look beyond its core product. Smartphone sales have stagnated and are virtually unchanged worldwide the past two years. Under Cook, Apple has launched a few new types of products, including AirPods and Apple Watch. Both, however, are glued to the iPhone. The company has talked about its services business as a significant new source of revenue -- Cook said sales increased to $10.8 billion in the holiday quarter -- but those are best used on an iPhone. Wholly new categories like self-driving car technology and augmented reality glasses still appear years away, while a major new iPhone for fifth-generation networks isn’t expected until 2020.